Chloe Holt was born in 1981 and is one of the youngest artists ever to be elected a member of the RCA, and her work is becoming increasingly popular here and in London. Winner of the 2012 Kyffin Williams Drawing Prize, Chloe also, in 2010 won the International Lorenzo il Magnifico prize by the Florence Biennale for works on paper. The landscapes capture the noise and tumult of cascading water and tumbling cloud. They have a drive and ferocity that captures the power and danger of an environment that can be hostile and unforgiving. These landscapes are implacable and pay us no mind. 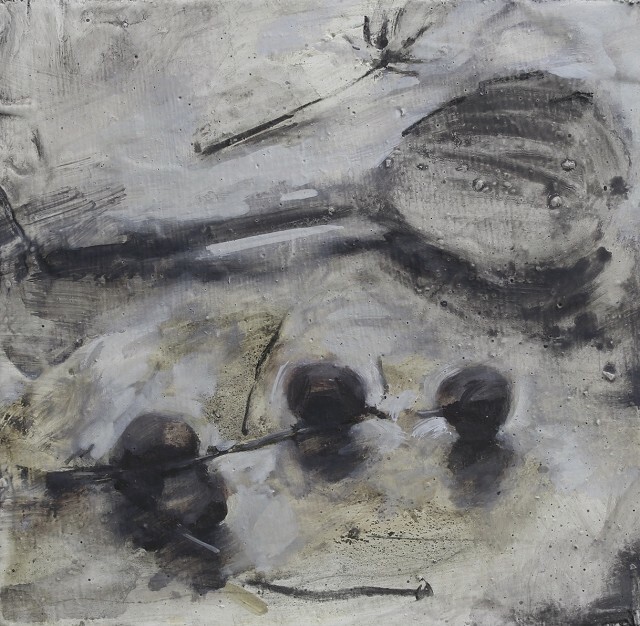 When painting small simple objects: shells or lemons or dishes, she is gentle, contemplative, devotional even. She cherishes these objects. She reveals to us their beauty and simplicity, the tiny miracle of their existence and survival. These objects speak of history and continuity, of toil, craftsmanship and connection. She shows us our place in the world, and can place the world in our hands. "Im naturally concerned with composition, decomposition, colour and form. I like there to be a rhythm and depth in the painting style which draws your eyes across the surface and excites the eyes and the mind. Translating the energy of the subject through the physicality of mark making and gestures. Beautiful almost perfect compositions admiring and understanding the beauty of life". Chloe has had four very successful exhibitions with us. She will return again in October 2019.